An absolute quickie from me today. It's a short week after the Queen's Birthday weekend. The highlight of which, was I went to see friends in a band, that used to play in a few of the ski resorts I worked in, 25 years ago. I travelled a bit of Europe with the lead singer, after a ski season, but we lost touch, as you do. Enter stage left........ Facebook. They say Facebook has made the school reunion obsolete. Happily it has enhanced other reunions and I have been able to find so many friends, I had sadly lost contact with, as life circumstances change. This book I am tapping out, sure is throwing up some interesting personal reunions. The night was absolutely fantastic. My friend is staring as himself in the book, because he was and is a very nice person. Of course not having seen my friends since I was a 22 years old snow bunny, made me a little bit nervous. I feel exactly the same on the inside and I guess that's what counts. Shame I'm not the same on the outside, but who the hell is? Sometimes you have to feel the fear and do it anyway. I danced like no one was watching and told someone else, something I have been wanting to say for 25 years. It was well received. What a relief. We also ate well at home, over the weekend. This dish is so quick, easy and delicious. Heat the oil in a fry pan and cook garlic and ginger for about one minute until fragrant. Brown the beef in batches and return to the pan. Cook the vegetables for about 2 minutes. Add the oyster and fish sauce and sugar. Stir to combine and serve over rice. We are eating brown rice a lot these days. 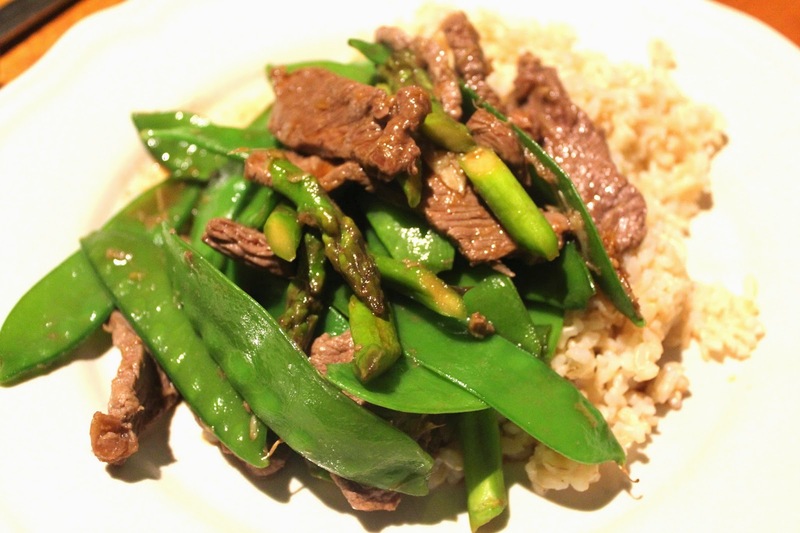 You will find more of my easy, low fat recipes here. 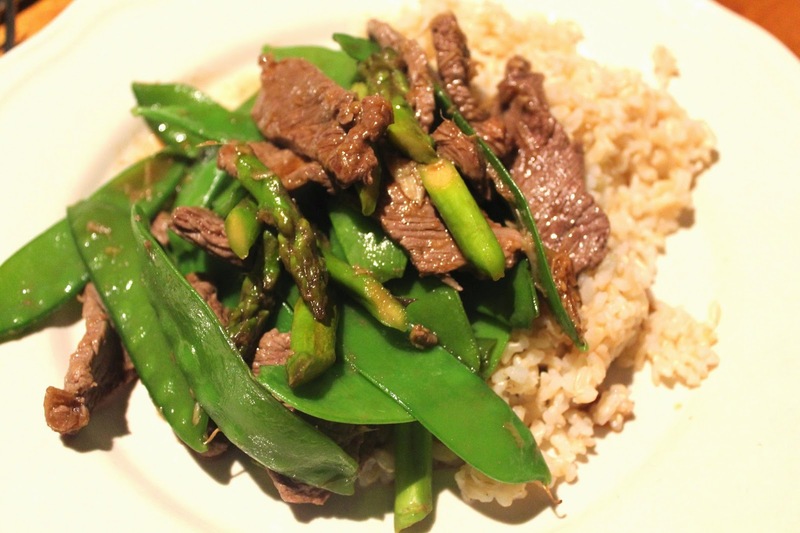 I love a quick and easy stir fry, this one looks rather tasty! 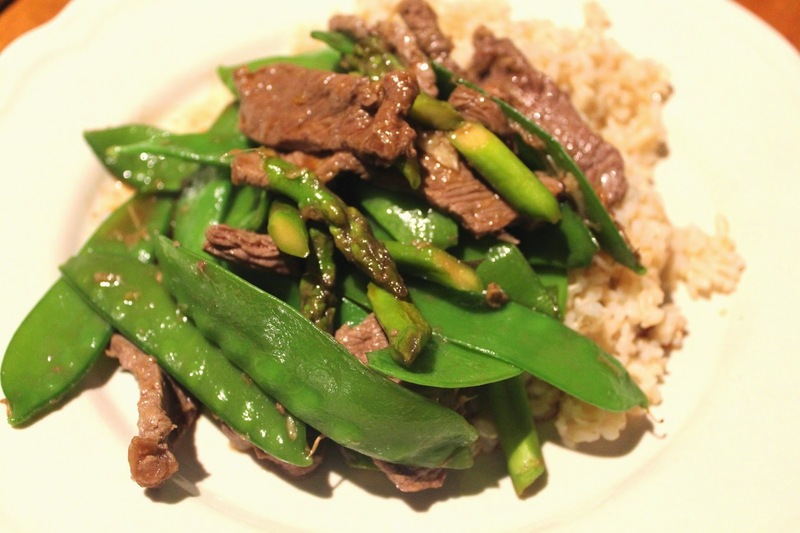 This looks wonderful and we eat a lot of brown rice, too.